Discovering Audible has given me a silver lining to life in the commuter fast-lane. A personal account of audiobooks changing my reading habits. From one cosmopolitan city to another, you wouldn't think that life in New York vs. London is that different. I swapped living along the River Thames in Hammersmith for views of the Hudson and spent a year navigating one of the busiest cities in the world. For this once-upon-a-time West-Londoner, the biggest lifestyle change from moving back across the pond was the commute. Turns out, there's nothing quite like a bump back down to earth than uprooting your life and moving from Manhattan to... Essex. I left behind a super quick and easy twenty minute subway ride, come blizzard or heatwave, from Battery Park City to the Flat Iron District. Today, living in Zone 6, BOOM! there goes 2 hrs 30 mins of my day to hopping on the commuter belt (and expect delays if it rains, snows or someone sneezes). I appreciate that as commutes go, it's pretty moderate, tame even, compared to some. I grew up in Zone 4/5 but on an exceptionally quick train line into Victoria in 15 minutes so, this is a shock to the system. For me, Zone 6 feels like Outer Mongolia! 3) Read...or should I say 'Listen'? Enter: Audible. I love me a book. Reading is literally a sanctuary I escape to from the world outside my front door and, having discovered the enjoyment of reading somewhat late in life whilst at University, it's something I struggle to now fit in around life of a 9 til 5-7. But, tell me I can 'listen' to books whilst taking a bath, cleaning the kitchen or to distract me from the sweaty armpits of London's commuters, and you've got my attention. Initially, I had my reservations; Will being read to aloud spur on a childlike response in me to fall asleep? Can I really count it as 'reading a book'? Will I feel the same investment and fondness for the characters? Will my imagination still create the world I'm reading hearing about? After five months testing it out, I have come to an opinion for what works for me. My first dalliance in the world of Audible was Some Kind of Wonderful by Giovanna Fletcher. I had subscribed to a free month, as anyone can, some point back in April this year and four days later, I was buying my second book. I am now enjoying a monthly direct debit of £7.99 and receiving one new credit a month; a credit which buys you one new book from an extensive library. My wish list has grown over the months thanks to Audible's clever profiling of the genres of books I like and crafty recommendations, combined with their semi-regular '2 for 1' sale opportunities. In my five month membership, I've downloaded 11 books in total; read 8, have 2 on standby, 1 on the go and a credit in the bank! My annual goal of twelve books in March seemed ambitious, but fast forward five months and I've smashed it. Total game-changer. I am, historically, a fiction kind of a girl. In fact, I admit it, My name is Rose and I'm a chick-lit fan-girl. Give me a parallel (but, ultimately, relatable) universe where there's some light humour, a heart-warming and endearing female protagonist, a romantic storyline (which obviously has a bump in the road before the happy ever after) and you've got yourself one avid reader. Reading is my escape so I want warmth, cosiness and comfort when delving between the pages. My first Audible experience was, as the name suggests - Some Kind of Wonderful - basically everything I look for in a good read right there in the title. As my first experience of listening to a book aloud, I was relieved to find I developed the same compulsion to, metaphorically, rush to turn the page to keep the story unravelling. 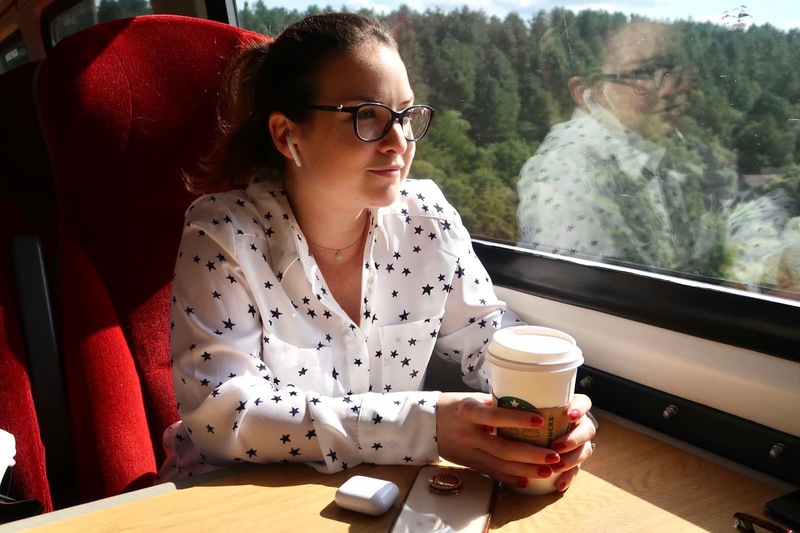 When you find yourself wishing your commute longer, you know you're onto something - I even discovered the function which increases the pace of the audio by up to twice the speed! The biggest game-changer for me in terms of listening to different types of books over the past few months is how well I resonate with the voice artist and whether he/she fits with the image of the character in my head. For instance, I'm currently reading Three Things About Elsie and finding it hard to decipher between two particular characters (both elderly women); Elsie and Florence. I've had to spend a fair amount of time skipping back to the start of chapters to make sure I'm following, else I end up as confused as the characters in the plot! However, I LOVED hearing Charlotte Ritchie and Josh Dylan bring to life 'Eve' and 'Bram' in Eve of Man. I am literally counting down the days to the second instalment in the trilogy. The voices are so perfectly matched to their characters, it's almost like they're the voices I would have heard in my head reading the words from the page. Similarly, Sharon Small's accents in Never Greener by Ruth Jones was utterly captivating. I would genuinely hunt out audiobooks she has recorded for her pure class performance! Better still is listening to non-fiction (a genre I never much delved into before now) and the authors themselves reading their words aloud; Rhonda Byrne for The Secret, and Adam Kay in This is Going to Hurt: Secret Diaries of a Junior Doctor. With the former, a self-help style book, it felt utterly compelling to be told, almost convinced by hearing Byrne's voice (and that of her advocates), to truly believe in what she is saying. Having read the book a year before, I was refreshing my memory but it felt like I absorbed it on a whole new level. Now, I often go back to hear and be reminded of particular chapters thanks to the compelling way it is read. Similarly, listening to Adam Kay and Alex Jones' in their 2018 book releases this year, I have literally gobbled up their recordings and loved hearing their own inflects, telling their story like I'm a friend they're over-sharing with over a pint in the pub. If you're not already tempted to try Audible yet, I should probably mention the free audio shows available on demand for all subscribers. Pick from a vast array of genres and a whole host of topics are covered. Thanks to The High Low, I have just discovered Where Should We Begin by Esther Perel, a relationship therapist who bares the raw, intimate details by inviting you and 10 anonymous couples into her office for a session. For something completely different, I also have bookmarked Earpedia by Sue Perkins and Fry's English Delight by English delight himself, Stephen Fry. It doesn't demand a roomy handbag to carry the paperback (or worse, hardback) from your reading list. It doesn't require shelf-space or smacking yourself in the face if you drift off to sleep mid-sentence. 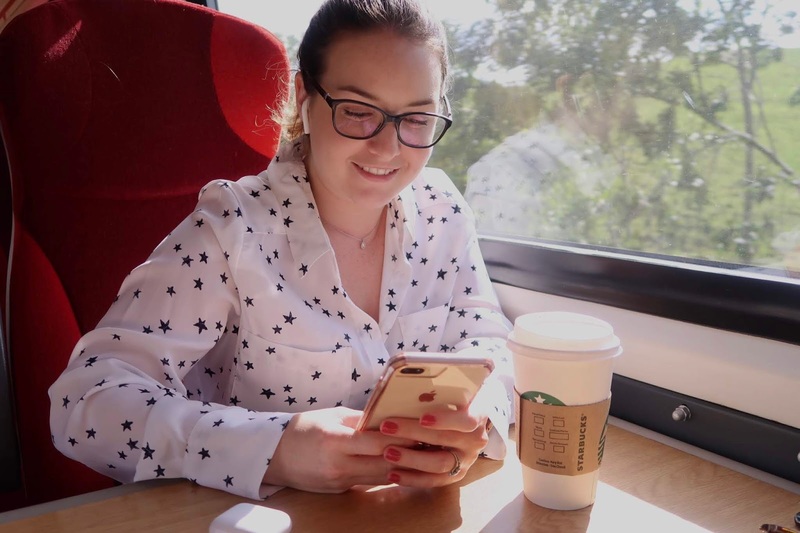 You'll never have to turn down the corner of a page as you walk between platforms or stations, this reading experience maximises literally every moment of your commute! Hack the speed of the audio to make every minute 1.25x or 1.5x faster and, therefore, more efficient. Twelve books in a year? Pah, you're laughing! Regular promotions allow you to boost your listening potential on a monthly basis. I've made the most of 2-for-1 and 40% offers that land in my inbox on a semi-regular basis! Holly Bourne How Do You Like Me Now?